CBC vs. AC...Is It Too Late to Say Sorry? We Canadians’ love to say "sorry." In fact, our very own Justin Bieber made it one his most famous hits to date. However, in this case, it may just be too late. It is no secret that the love between Air Canada and CBC is non-existent. It sometimes feels like we are witnessing two siblings fighting for the affection of their parents, or in this case the Canadian public. If you want proof simply Google, “Air Canada CBC” and you will get a slew of stories, which, for the most part, are negative. You will recall the recent “spat" where CBC questioned the validity of the SkyTrax award which was afforded to Air Canada. Over the weekend, Air Canada published emails on their Facebook page, from an internal source at CBC, which they were inadvertently CC’d on. They claim the emails are verifiable proof of an internal bias toward the National carrier. They may very well be right. In the email exchange, Talin Vartanian, a CBC Radio producer, was looking to Air Canada for information on how, and why they board aircraft the way they do. They refer specifically to a report that was published in 2014 as their reference point (yeah, 2014.) suggesting the system Air Canada employs is inefficient at best. We in the business of Travel know that things change rapidly in our world, particularly in the aviation space. Technology which may have been driving change in 2014, is more than likely obsolete. READ MORE: Which Airline Industry Polls are We to Believe? “By way of context, The Sunday Edition is currently working on a story about a study showing the fastest method to board a plane. As part of their research, the producers of The Sunday Edition reached out to Air Canada for information about their boarding methods. That story has not yet aired. The exchange that Air Canada posted on Facebook last week was an internal email, shared in error. Both Mr. Enright and producers of CBC's The Sunday Edition have reached out to Air Canada to address the mistake and apologize for the content of the message. 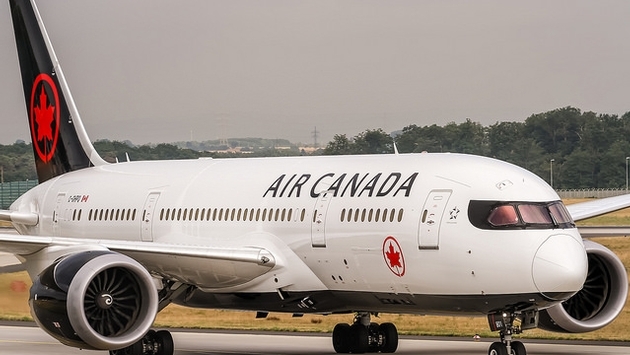 "Air Canada is very disappointed in the consistent negative coverage that is produced by the CBC as it relates to the national airline of this country. This email exchange confirms to us the fact that a bias does exist within the CBC as it relates to the national carrier. Air Canada is a top ranked carrier globally and we have more negative press in our home country propagated by the lack of effort by the CBC when it comes to reporting the actual facts of any given incident." What would drive CBC to the point of digging out a report by a US based company from 2014 seemingly to take a run at Air Canada and there boarding practises in a upcoming segment of Sunday Report? Maybe it’s privatisation envy? John Kirk is President and Editor-In-Chief of TravelPulse Canada, based in Toronto, Ontario, Canada. He has been in the Travel Industry for over 25 years, working in the Tour Operator, and Aviation space, with Porter Airlines, where he founded PorterEscapes.com, and Thomas Cook North America as SVP E-Commerce & Retail Distribution. He was responsible for some of Canada’s legendary retail brands such as, The Last Minute Club, Bel Air Travel, Avion Travel, and Algonquin Travel, covering on-line, store front, and call centre, with annual retail sales in excess of over 500 million dollars generated by a retail sales force of over 350 Travel Advisors across Canada.